Ultra luxury cruise line, Crystal Cruises operates two small cruise ships, a luxury yacht, three luxury river cruise vessels, a 12-guest luxury jet, and an all-first-class Boeing 777. Over the next few years they have plans to introduce four more river vessels, another expedition yacht, and the first of three 1000-passenger cruise ships. Crystal Cruises has been around since 1988 when they were owned by Japanese parent company, Nippon Yusen Kaisha (NYK Cruises). Currently they offer cruises to the world’s most exotic destinations. Crystal Cruises was acquired by Genting Hong Kong in May 2015 and shortly after Crystal Cruises announced a plan that included three new cruise ships, and an expansion into river cruising, yachts, and luxury jet travel. In December 2015, Crystal Cruises acquired a 12-seat luxury jet intended for Global Express charter jet service for their guests. It went into service May 2016. In February 2016, the 31-suite passenger luxury yacht, Crystal Espirit entered service, complete with two-person submarine, 10-person Zodiacs, a 12-person tender, and toys that include water skis, wake boards, kayaks, jet skis, and scuba equipment. In February 2016, the company announced their intention to purchase and rebuild the 1950s-era SS United States into a modern-day 400-guest luxury cruise ship. Unfortunately, in August 2016, Crystal Cruises announced that they wouldn’t proceed with the proposed renovation claiming it would not be “technically or commercially responsible” to go any further with the project. In July 2016, Crystal Cruises expanded into European river cruising with their first river cruise ship, the Mozart (formerly operated by Peter Deilmann and YUI Cruises). In August and September of 2017, Crystal debuted two river cruise vessels, Crystal Bach and Crystal Mahler, respectively. Crystal Ravel and Crystal Debussy are scheduled for their first cruises in 2018. In August 2017, Crystal introduced their all-first-class Boeing 777, Crystal Skye, for round-the-world air “cruises” under Crystal’s Luxury Air division. 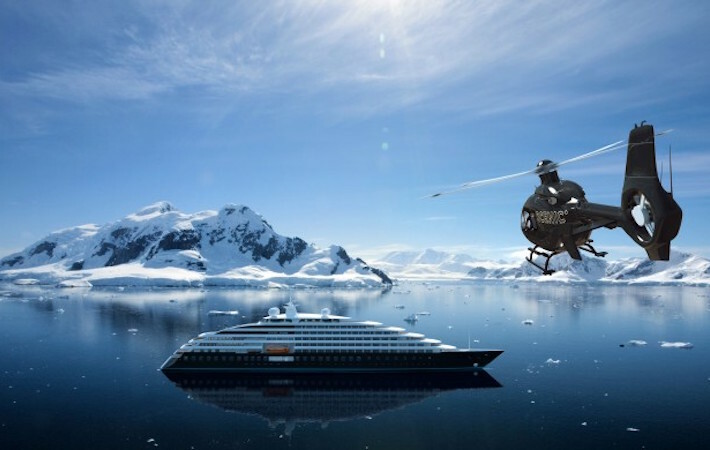 In August 2018, Crystal Cruises will debut their 200-passenger polar compliant mega-yacht. They also plan to build another three 1,000 passenger ships with the first one making her debut in 2019. On the new “Crystal Executive Class” ships they will feature Elegant Residences situated on the top deck. These unique homes have their own private restaurant, reception area and facilities. Additionally, Crystal is spending over $100 million in redesign and refurbishments on Crystal Symphony and Crystal Serenity. Crystal Symphony emerged from her redesign in November 2017. Crystal Serenity will have her refurbishment done in fall 2018. To apply for a cruise ship job with Crystal Cruises, follow the detailed instructions on the employment pages of their website. Crystal Cruises’ employment pages list three separate links (Shipboard Positions, Entertainment Positions, and Entertainment Production Team) depending on the type of cruise ship job you are applying for. The ‘Shipboard Positions’ link has application information on positions in Hotel, Restaurant, Deck, and Engine departments. Additionally, this link has information on the following cruise ship jobs: Gift Shops (Starboard), Spa/Salon/Fitness (Steiner), Photographers (Paragon Pixels), Cruise Sales Consultant, Casino, Shore Excursions, Editor, and Crystal Society Hostess. The ‘Entertainment Positions’ link provides application details for Speakers, Instructors, Entertainers, Junior Activities Director, Ambassador Host, Technical Staff, Disc Jockey and Orchestra Musicians. The ‘Entertainment Production Team’ link gives information on cruise ship jobs as a singer or dancer.